Colfax - "Your Home Team Advantage!" Colfax is a small unincorporated town located in Guilford County NC. Colfax is a suburb of Greensboro located in the center of the Piedmont Triad. This gives residents easy access to Greensboro Winston Salem High Point and Kernersville. Colfax hosts the annual Persimmon Festival in early November. Triad Park is a favorite destination for outdoor activities and gatherings. Perhaps Colfax’s most popular attraction is the Farmers Market. 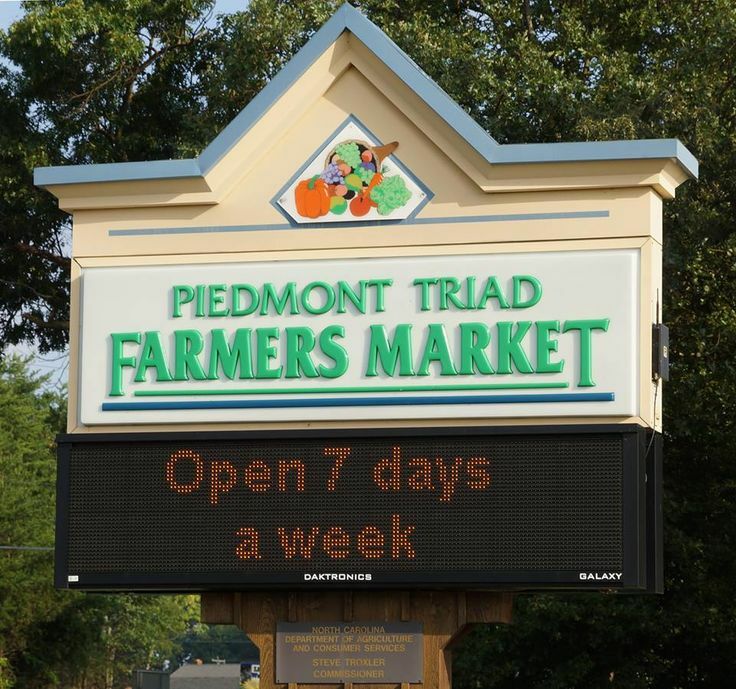 One of four markets owned by the State of NC and operated by the State Agricultural Department. It is open year round. The Farmers Market offers fresh produce dairy products meat products plants and speciality items from local area farms. The market also has several special events throughout the year. Guilford Tech community College has recently opened a campus in Colfax. The 94000 square foot building is built to LEEDs Gold Certificate Standard. In addition to providing 2 year degree programs, it is working in conjunction with Honda Jet to provide training for aircraft manufacturing jobs. This GTCC campus has also been designated as the North Carolina Center for Global Logistics. This is a collaborative effort between GTCC Davidson Community College Forsyth Technical Community College and Randolph Community College. Ranch plan with Sunroom backing up to trees. Nicely appointed with granite in Kitchen and Baths, and hardwoods throughout living areas. 5 Ft. Tiled shower in MBA. Extensive molding and features throughout home. Community to have Clubhouse, pool, and fitness room. $2000 in closing costs when using preferred atty/lender. Approximate completion date of December. Pictures are a sample of what house can look like. 4 BR, Loft, 3 Full Bath plan packs a lot of punch with over 3600 sq. ft.. 3 BR’s up with 1 down, MBR has sitting area with BIG walk in closet. Hardwoods throughout main level and extensive molding and features throughout home. Community to have Clubhouse, pool, and fitness room. $2000 in closing costs when using preferred atty/lender. Approximate completion date of December. Pictures are a sample of what house can look like. 4 BR’s with a Study. Extensive Molding throughout. Upgraded Hardwoods on main level, granite in Kitchen, Brush Nickel pkg, etc.. Community to have Clubhouse, pool, and fitness room. $2000 in closing costs when using preferred atty/lender. READY NOW! Looking for a potential business space? Home is situated around commercial properties currently zoned AG, Home features a open floor plan, immaculately maintained. This home would be a ideal space for a office or to be rezoned for commercial use. (buyer responsible in having the home rezoned if needed) Energy efficient home, detached garage, Great location located minutes from 1-40 and Sandy Ridge farmers market, visible from I-40, Low Colfax taxes ***24 hr notice is needed to show. no sign in the yard. There is plenty of room for entertaining inside and out of this meticulously maintained home located on a one acre lot in the popular Southwest Schools area of Colfax. You will enjoy relaxing by the fireplace on those cold winter nights in the sunken living room, and never feel isolated from your family and guests while preparing meals in the spacious kitchen! The extraordinary loft would make a fantastic playroom or gym, and the master bedroom must be seen to believed. Call now for your private showing. HAMPTON FLOOR PLAN Offers 4 Bedrooms, 3 Baths, Open Foyer, 4th Bedroom on Main with Full Bath, Great Room Offers Gas Log Fireplace & Ceiling Fan. Kitchen has Quartz Counter tops, Under Cabinet Lights, Pendant Lights, SS. Appliances., with Gas Range and Vented Microwave. Owner's Bedroom with Ceiling Fan. Upgraded Owner's Bath, Wrought Iron Railing at Staircase Second Floor. Faux Coffered Ceiling in Dining Room, Many More Upgrades! BUILDER PAYING $3500 IN CC W/PREFERRED LENDER & CLOSING ATTORNEY! CAMELOT FLOOR PLAN Offers, 4 Bedrooms, 2.5 Baths, Loft, Master Suite on Main with Crown Molding, and Ceiling Fan, Great Room with Gas Log Marble Surround Fireplace & Ceiling Fan, Kitchen with Granite Countertops, SS Appliances, Gas Range and Vented Microwave, Upgraded Owner's Bath, Added Floored Storage Off Bedroom 3. Newly Fenced Yard. And Many More Upgrades! BUILDER PAYING $3500 IN CC W/PREFERRED LENDER & CLOSING ATTORNEY! Charming 4bedroom, 2.5 bath home on 2.77 acre lot in a terrific location just off NC Hwy 68 w/ convenient access to anywhere in the Triad. Home features open floor plan with Living, Dining, Den w/fireplace, kitchen w/island & master bedroom w/trey ceiling on main level. 2 large bonus rooms on each end of 2nd level provide great entertainment areas. Outdoor features screened gazebo, patio w/ fire pit & outdoor grilling for entertaining & relaxing. Owner will provide up to $500.00 for a Home Warranty. NEW CHATHAM FLOOR PLAN Offers 4 Bedrooms, 3.5 Baths. Owner's Suite on Main Level with Crown Molding.. Owner's Bath with 5' Foot Tile Shower, Great Room with Gas Log Fireplace, Ceiling Fan and Crown Molding. Kitchen with Stainless Steel Appliances, Gas Range and Vented Microwave, Upgraded Cabinets, Under Cabinet Lights, 5- Burner Gas Range. Optional Bath 3 Offers 5' Foot Tile Shower with Fiberglass Pan. Many More Upgrades! !BUILDER PAYING $3500 IN CC W/PREFERRED LENDER & CLOSING ATTORNEY.